I first discovered Rio’s writing last year when I was given an ARC of his then newest novel ‘The Forgotten Girl’. It ended up being one of my Top 20 Reads of 2017 and vaulted him to ‘must-read’ status. Westlake Soul further cements that sentiment and puts him as one of my favorite authors today. Emotionally gripping and terrifying, yet breathtakingly beautiful in its execution, Westlake Soul is one of the best novels I have ever read. Westlake Soul. Twenty-three years old and in the prime of his life, at least until a horrific surfing accident turns him into a vegetable. With his girlfriend moved on and his family trying to cope with the hand they’re dealt, Westlake spends his days talking to the family dog, getting sponge baths from his caretaker, and constantly dueling with his arch-nemesis, Dr. Quietus, who is basically the embodiment of Death itself. Oh, did I mention Westlake is a genius? Yeah, I wasn’t lying about talking to the family dog, though talking is stretching the truth a bit. It is more of a mind thing, you know, because dogs can’t really talk and Westlake can only grunt every so often. People always say they wish they could understand what their dog is thinking. Truth is, it is probably exactly what you expect. Also, that thing about dueling Dr. Quietus, again true. Dr. Quietus is the embodiment of all horrors, ready to strike when the time is right but beating Westlake down every chance he gets. These interactions often become quite graphic, always formulating into intense fight scenes between good and evil. Where Rio really shines is character development. 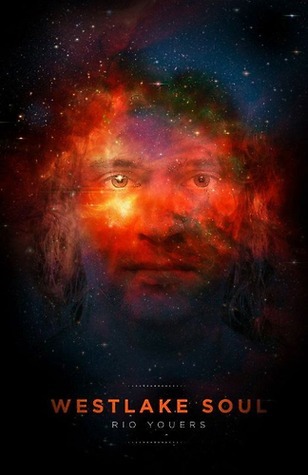 Westlake is one of the most fascinating characters I have ever come across, yet he is just like you and me. He yearns for the day when he can be whole again yet is constrained to a chair with a feeding tube, but he is highly optimistic and humorous enough that the reader isn’t just emotionally drained by his predicament by the end of the novel. I can’t imagine what it is like having a healthy (and powerful) mind but being trapped in a practically dead body, just awaiting the inescapable end, but I would assume it is something like this (minus the super-genius part). All in all, Westlake Soul is a fantastic piece of literature and will more than likely go on the ‘read again’ shelf. I also have to give props to Evan Greenberg on the narration, for giving Westlake the voice he deserved and providing excellent pacing throughout the novel. 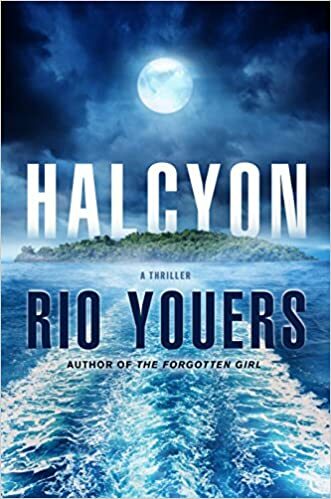 Also, be on the lookout for Rio’s next release, Halycon, hitting shelves on July 10, 2018.